Your company’s greatest asset, your people, can be carefully cared for and managed through our HR Solution. 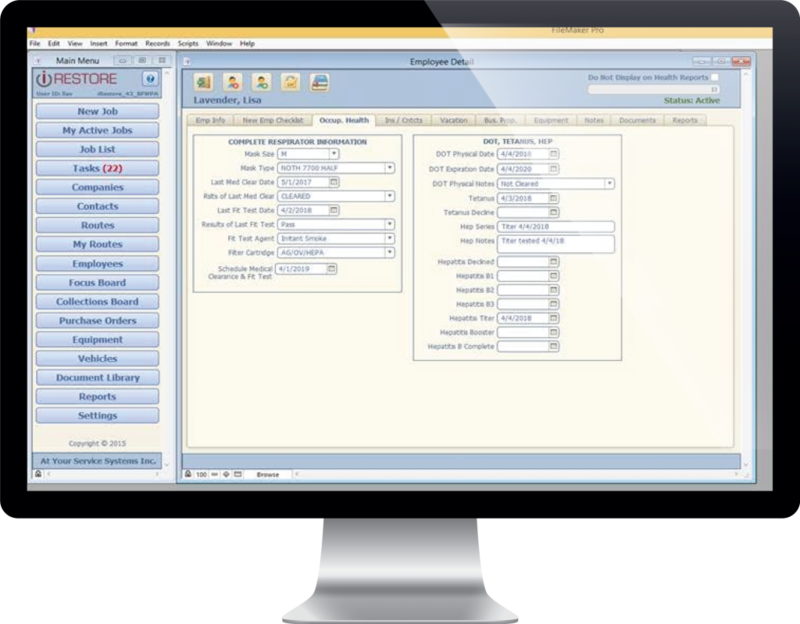 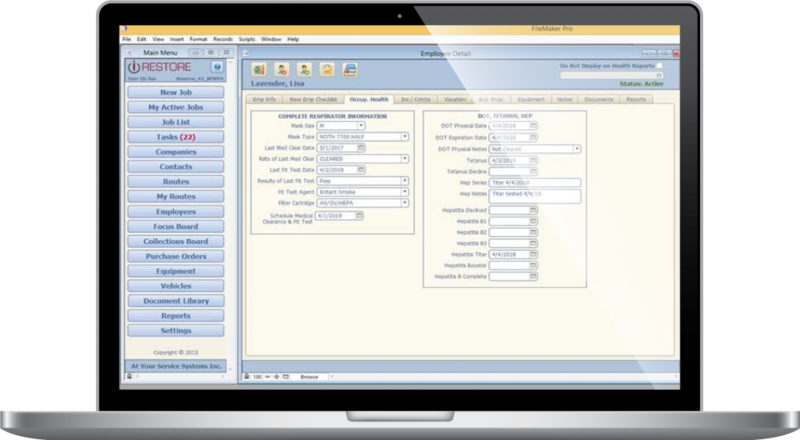 With the click of a button, you will have instant reporting to important information, from birthdays to Respirator Fit Test due dates. 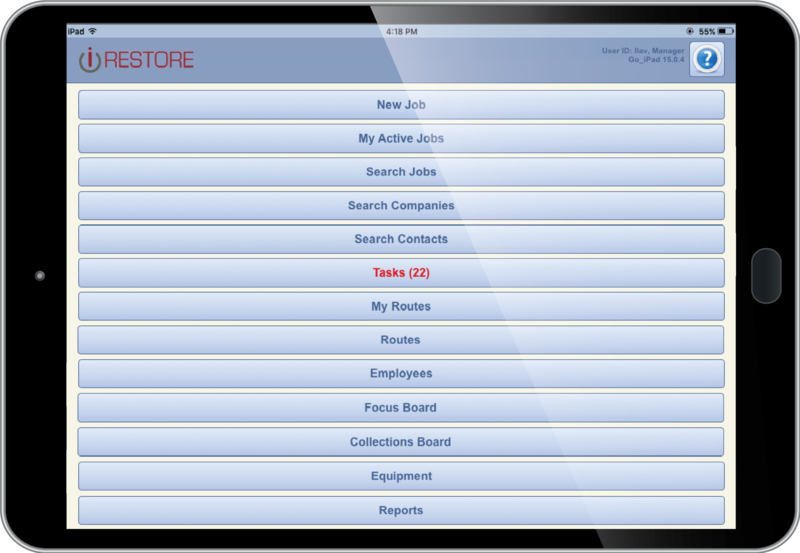 It is fully integrated with your iRestore.